What have led you to this page of our weight pulling dog harness? 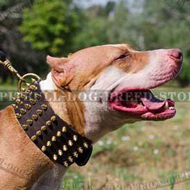 Have you decided to start training your Pitbull to pull weight? 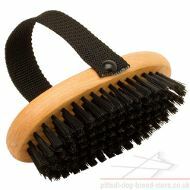 Or are you an experienced dog trainer looking for a new training gear? 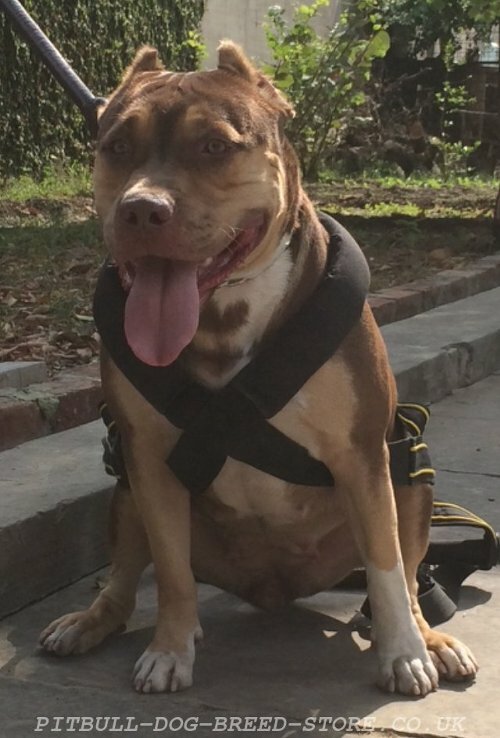 In fact, it doesn't matter, because everybody will adore super ergonomic design of our Pitbull harness. 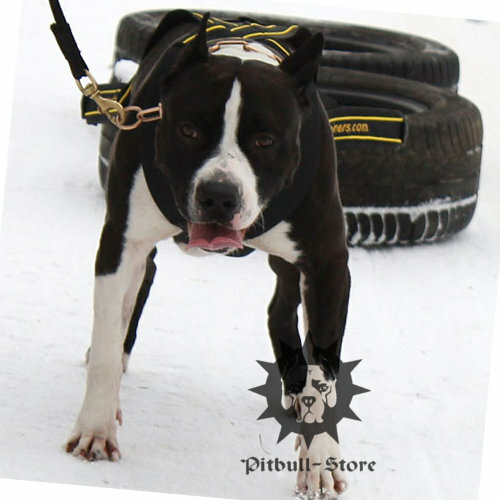 This product is an excellent dog harness for pulling weight, skijoring, heavy freighting, sledding, total body conditioning and other activities with your muscular dog. 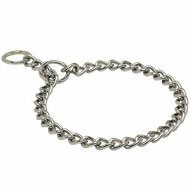 You definitely know that weight pulling is a serious sport and can be harmful if the training methods or the equipment are chosen wrong. 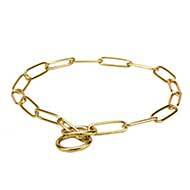 That's why we recommend you to pay your attention at this top notch weight pulling dog harness. 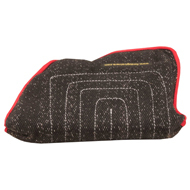 It is produced of triple stitched nylon material to serve your four-legged athlete for many years. 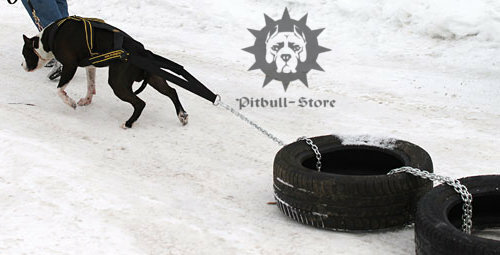 As weight pulling sport is connected with hard loads your Pitbull must feel maximum comfort to perform his task perfectly. 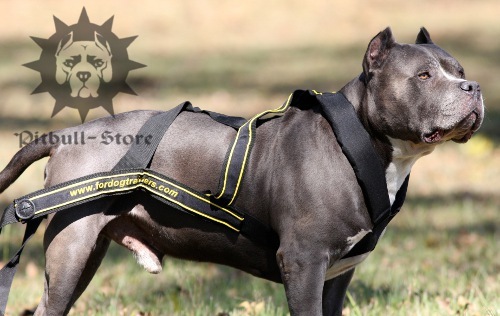 We did our best to make the training process with our Pitbull harness more pleasant for your dog by padding wide chest X-straps with soft felt. 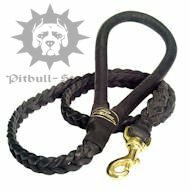 It prevents rubbing and skin irritation, so your Pitbull will wait for the next training session with excitement, not fearing it. 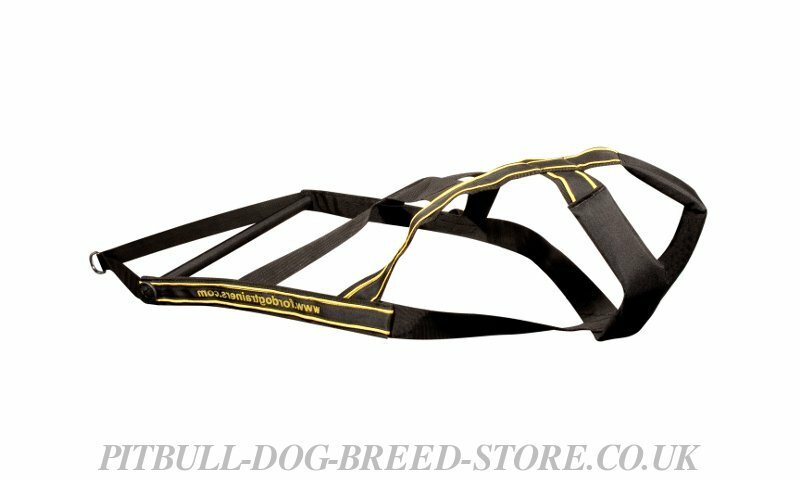 With our extra durable dog harness for pulling your efforts will result in success! 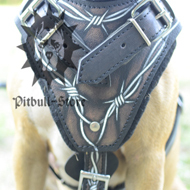 let us know if the Pitbull harness doesn't fit your dog ideally and we will find the way to solve the problem. 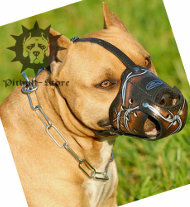 Don't hesitate to contact us on any issue by our e-mail info@pitbull-dog-breed-store.co.uk. 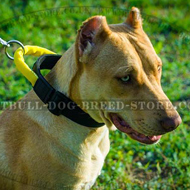 Our specialists are always ready to help you in choosing and ordering qualitative dog training equipment. 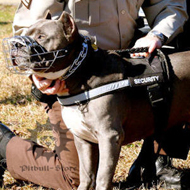 We need 2 measurements of your dog to choose the best fit pull harness size. 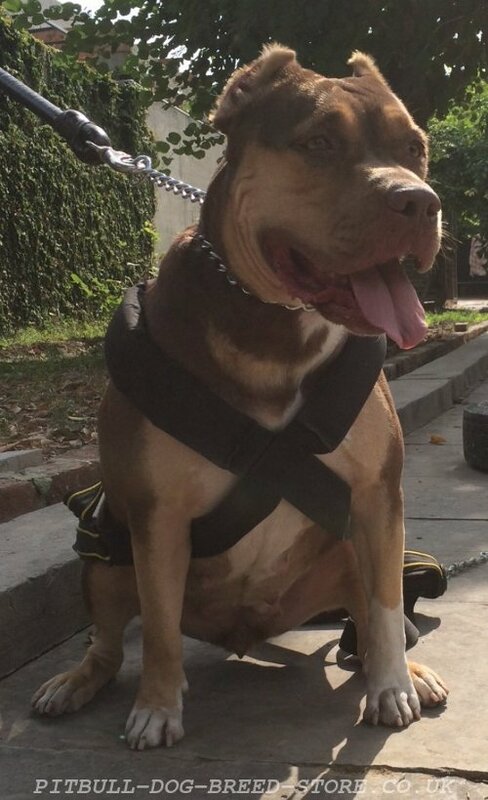 Here you can see how good our pulling harness fits the dogs!